Sensei Al is our guiding teacher, and the Director of Open Mind Zen based in Melbourne, FL. He travels to Naples several times a year to lead retreats and workshops. He has practiced and taught Zen Meditation for 40 years. As President of Open Mind Productions, Sensei produced the landmark Buddhism in America Conferences in Boston, San Diego, Denver and New York City. 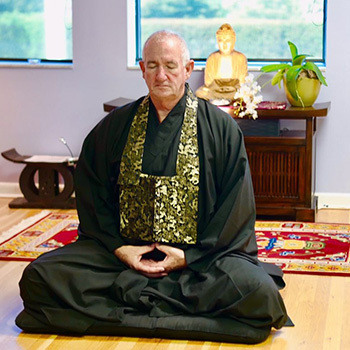 He studied with Kozan Roshi, Maezumi Roshi, and Genpo Roshi until moving to Florida in 2001, and received Dharma Transmission within the Soto Zen Lineage from Shuzen Sensei in 2008. Sensei is the author of Open Mind Zen: A Guide to Meditation, and editor of Buddhism in America. He is a member of the White Plum Asangha, the American Zen Teachers Association and the Lay Zen Teachers Association. Laurie Lyons is Co-founder of Open Mind Zen Naples. She has been practicing yoga and meditation since 1996. In 2003, she began studying Zen with her root teacher, Sensei Al Fusho Rapaport. 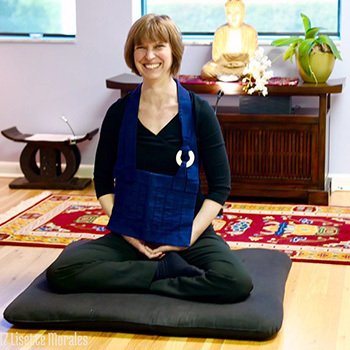 She also studies Zen with Melissa Blacker, Roshi of Boundless Way Zen in Massachusetts. In 2010, Laurie took jukai (lay Buddhist vows) and received the Dharma name, Kido, meaning Bright Truth. Laurie formed Open Mind Zen Naples in 2010. For several years she taught in various yoga studios and her home, until 2015, when she partnered with Andy Solis to move OMZN into its own space. Laurie received Dharma Transmission, full authorization to teach Zen, from Sensei Al in 2018. She is a member of the Lay Zen Teachers Association and works as an orchestral musician, performing as a percussionist with the Naples Philharmonic since 1999. 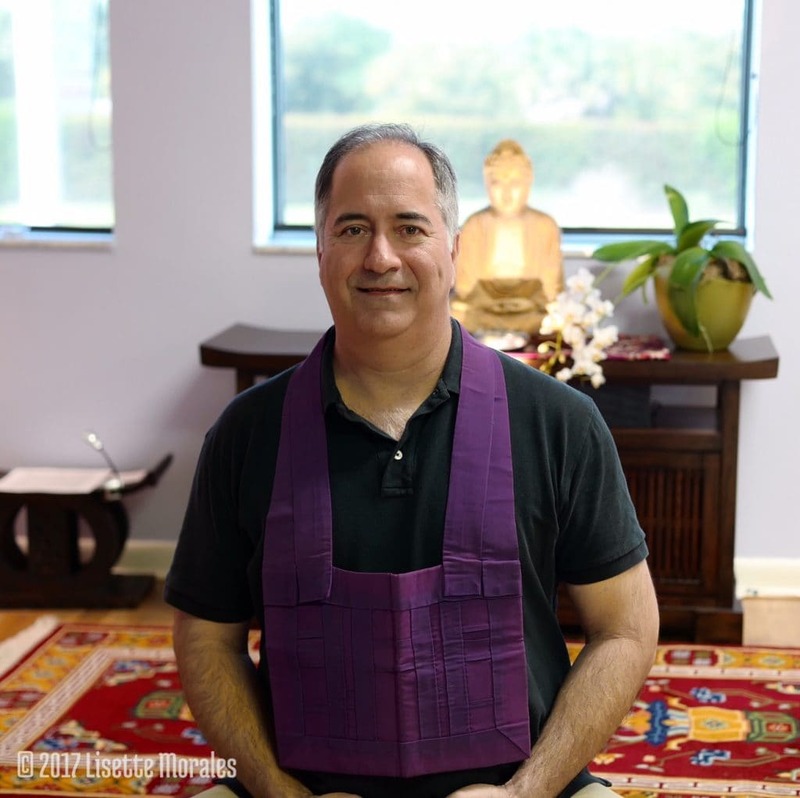 Andy is Co-founder of Open Mind Zen Naples and a long-time meditation practitioner. Andy was introduced to meditation in the mid-1970’s through the martial arts, and became a student of Zen Master Thich Nhat Hanh in the late 1990’s. Andy was ordained by Thich Nhat Hanh as a member of the Order of Interbeing in 2009. Andy is an Assistant Teacher, Lay Monk and Hoshi (Dharma holder) in the OMZ School. He currently studies Zen with Sensei Al Rapaport. Sensei Al gave him the Dharma name Hoseki, meaning Dharma Rock. He incorporates mindfulness in all aspects of daily life, as a parent, and in his profession as a civil trial attorney.